Maranatha played their home opener against Polytechnic, and from the start, the Minutemen showed their scoring ability. Freshman Matthew Morales found his brother, senior Chris Morales on a three pass buildup, with a through ball that beat the keeper in the first five minutes of play. Five minutes later, freshman Matthew Malhotra found the back of the net on a free kick just outside the box. Then, with just five minutes before the break, Chris Morales scored again, unassisted. After the restart, senior Michael Antonovich’s header found its mark, off a corner kick served in by Brenton Holstein in the sixty-fifth minute. 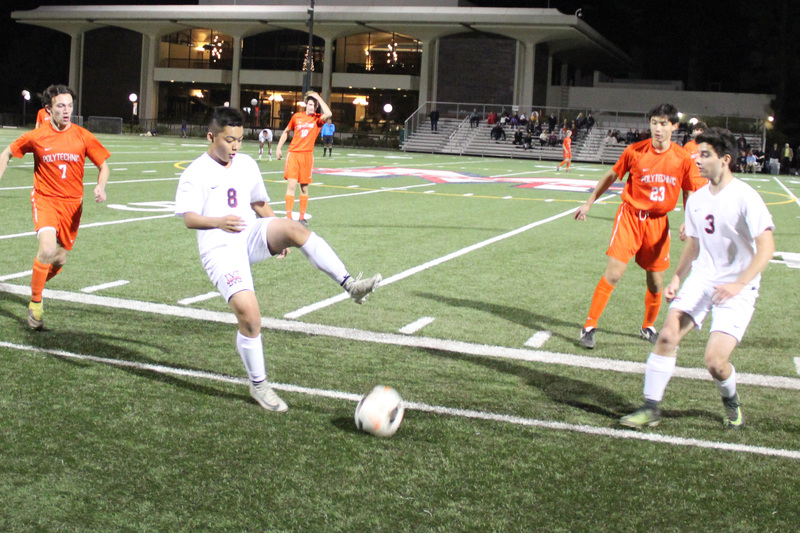 Antonovich notched one more goal in the seventy-third minute, off an assist by Chris Morales. Poly scored three in the second half, but the Panthers ultimately were no match for the powerful Minutemen offense. Maranatha plays next on Friday at La Cañada High School; kickoff is at 3:30pm.